The Generous Billionaires Club – Inquiring Minds Want to Know! Charitable Nation has, from time to time, showcased various wealthy individuals who are to be admired for their generosity and systematic approach to philanthropy. (See, especially, Peter Lewis, David Geffen, Warren Buffett, John D. Rockefeller, Chuck Feeney and Lady Gaga) It can be both interesting and instructive to learn a bit about what makes these folks tick. Now, the predictable response from the cynics among us is “Yeah, but did you know what a [nasty person] s/he was?” I can’t and won’t argue that – building and maintaining a fortune is not easy and those who do so tend to have somewhat aggressive personalities. And, in truth, the philanthropic impulses of some of the “1%” may be suspect, but I prefer to focus on the potential for good that results therefrom and give credit where credit is due. The philanthropy of the 1% has made a big difference in this world by being impactful and long-lasting. We can criticize the timing and/or amount of funding or the seemingly parochial views of some of the donors, but we must accept the fact that marketplace of philanthropic impulses is alive and well and made more vibrant by such generosity. According to the Forbes Billionaires List, 16 of the top 25 billionaires in the world are Americans but NONE of the 26 new tech billionaires are American. The silver spoons in the mouths of the progeny of guys like Bill Gates, Warren Buffett, Michael Bloomberg and T. Boone Pickens may be a bit tarnished – in their parents’ estate plans, inheritances are minimized and philanthropy is maximized. But, it’s not all bad – as Buffett has famously stated, he will give his children “enough money so they would feel they can do anything but not so much that they could do nothing.” In other words, the concept of “no” inheritance is relative. Of the top 10 folks who have given away at least $1B of their net worth over time, 2 of them (James Stower and Herbert Sandler) are no longer billionaires. Not mentioned in these statistics is Chuck Feeney, the co-founder of Duty Free Shops, who is definitely a former billionaire and whose private foundation, the Atlantic Philanthropies will have funneled $9B into charitable works by the time of it self-liquidation in 2016. I am a proud alumnus of Binghamton University, one of four major university centers in the 64 campus State University of New York (SUNY) system. Binghamton is a young school, founded in 1946 as Triple Cities College, an extension of Syracuse University. It became part of the SUNY system in 1950 and grew dramatically during the Rockefeller years, attaining its current status as a doctoral granting university center in 1965. The 1970’s were tough for the University as New York State faced hard economic times and funding suffered accordingly. Interestingly, the University never wavered – it continued to burnish its reputation as a very selective, high quality, world-class center of learning. Over time, the financial hard times eased, but the evolution of Binghamton from a “state school” to a “state supported school” continued. (What’s the difference, you may ask, between a “state” and a “state supported” school? Essentially, “state supported” means less and less money each year from State sources.) Regardless, Binghamton is today both the shining star of the SUNY system and an up-and-coming player in the international major leagues of colleges and universities. Most important, it is a relative bargain, making high quality higher education available to a diverse population of students from all economic backgrounds. Sounds like a great success story, doesn’t it? The problem is, because Binghamton is both young and part of a state system, its culture of philanthropy has not yet fully developed. 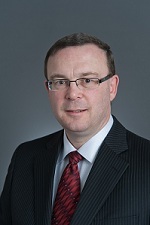 This issue is front and center on the agendas of both the boards of the Alumni Association and the Binghamton University Foundation – how to build and permanently sustain a culture of philanthropy within the University and alumni communities. The question is obviously multi-faceted and complex. Today, I wanted to spend a little time on one seemingly small but very profound step that the University itself has taken to help build that culture right at the true grass roots of the cause, the campus community and the student body. The Student Philanthropy Committee was established earlier this year as a joint effort between the University and the student body. The Committee functions under the auspices of the Binghamton Fund, the University’s annual giving program, and its director, Caitlyn Carlson. Its mission is simple – to build a culture of philanthropy among students by cultivating awareness and engagement. I recently caught up with committee co-chairs Andrew Loso, Class of 2015 and Dillon Schade, Class of 2016, to talk about what they were trying to accomplish. It essentially boils down to the two parts of the Committee’s mission, awareness and engagement. Engagement: One very simple yet concrete metric that the Committee had to work with was the Senior Challenge. Many schools have this – they encourage graduating seniors to make a modest donation equal in dollar value to their graduation year, i.e. $20.14. Simple, catchy and cheap, right? Unfortunately in fiscal year 2013 only 74 seniors (2.5%) participated. To Andrew and Dillon, this was simply unacceptable. Their goal for this year was to double participation to 150 students, which was still modest, but a step in the right direction. At 177 participants, the goal has been met and exceeded. Next year, they want to double again to 10%. Long term, they want to get to 30%, which experience at other schools has shown is about the upper limit for such a fundraiser. Charities and nonprofits spend a lot of time and money to stay front and center in the minds of their current, former, and future donors. It is not easy. It is not a given. Even if you assume that people want to give to certain causes, the fact is they have to know about the need and they have to be given an easy and nonthreatening way to contribute whatever combination of time, treasure and talent they can. Binghamton University or [insert the name of your alma mater] cannot assume that current students see and appreciate the benefit of the education they are receiving. They cannot assume as a given that alumni will automatically agree that paying it forward is the right thing to do. Information, communication, and appreciation go a long way to making it all possible. The students involved in the Student Philanthropy Committee are learning this first hand and at an early age and, in so doing, are helping the University in a small way now that will hopefully blossom over the years as giving becomes a habit – a habit begun in the undergraduate years of the college experience. 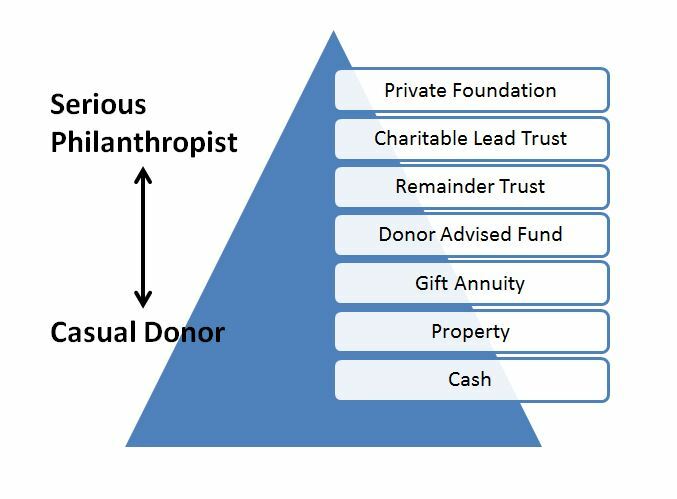 Since the start of this blog, we have focused on the Philanthropic Continuum, that progression from “casual donor,” the person who gives when asked but without much thought, to the “serious or serial philanthropist,” where truly significant gifts and amounts are involved. The more serious your philanthropy, the more important it is for you to treat it in the same manner that you would treat a business or investment portfolio. Certainly, there are few Bill Gates out there whose annual giving might exceed the gross national product of a small country, but there are certainly enough philanthropists and protophilanthropists who have either adopted or should adopt a businesslike approach to their giving. This is important whether you have a private foundation or donor advised fund or just your personal checkbook and it’s not an unreasonable approach; in fact such an approach is already in most responsible people’s DNA. 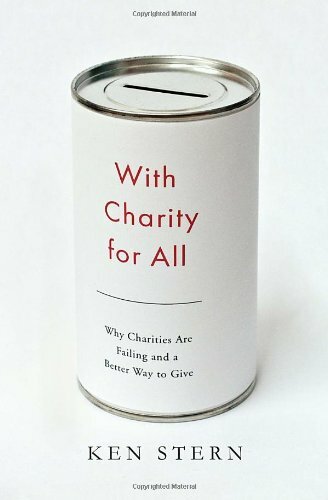 Heck, I recently spent a half hour researching the purchase of a meat thermometer and stainless steel meat skewers (its barbeque season…), the grand total of which did not top $20, including shipping, so why wouldn’t I approach my charitable giving in the same way – systematically, methodically, and rationally? Fact: Giving to charity is really not “giving” at all, it is “investing.” If you don’t view it this way, then as a donor you are throwing your money away. One’s charitable giving should be deeply connected to one’s val ues and world view. The donor should be engaged with the cause and feel a sense of ongoing connection to it. If s/he achieves that, then the very act of giving to, no, investing in the cause brings the connection to the next level. Tossing money down a black hole never yields results, but investing in well-conceived and competently executed solutions can be quite rewarding. Fact: Investing without a plan is, at best, inefficient. Without systematic measurement toward a goal, you will never know if you have achieved anything at all. The most effective financial investors are those who are strategic in their approach to investments. They first define their goals and then fashion a plan to meet them. Continual measurement of progress toward the goal is implicit in the plan. Some investors do this on their own while others hire advisors to help them. Nonstrategic investors, on the other hand, buy a little of this stock and a little of that annuity and maybe chase some yield at their local savings bank, but in the end, the bulk of their growth can be measured more in terms of their additions to principal rather than by any real market rate of return. The same can be said for charitable giving. Nonstrategic giving will most likely result in giving smaller amounts to a greater number of charities, many of which may not even make it to your values/world view radar screen. Developing a philanthropic investment or business plan can help prevent that from happening. Fact: The business owner without a plan in place to grow his/her business is taken seriously by no one, least of all investors. Investors will run screaming from an entrepreneur who says “invest in my idea and we will see what happens.” Again, why would you treat your philanthropy any differently? Don’t you want to see results? Don’t you want to be engaged? Wouldn’t you rather strategically connect with your cause as a player than participate passively as a bystander? So the message is clear – make a plan! Begin with your personal passion and identify charities that are worthy of it. Determine how much you want to give, no, invest and over what period of time. 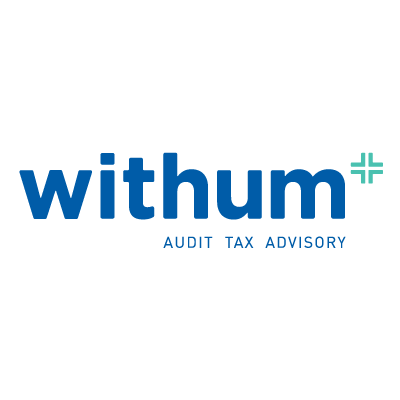 Consider the tax ramifications pertinent to your situation (and discussed throughout in www.charitable-nation.com) and adjust accordingly. Develop personal relationships with the charities you support. Learn more about the cause and become an unpaid ambassador or advocate, helping to raise awareness and ultimately more money. Volunteer. Find ways to use your professional skills and personal connections to help make a difference. (Time, treasure and talent) Stay on top of the charities you support, and don’t be afraid to offer advice or criticism if and when needed but, of course, be realistic in your expectations –the size and reach of the organization and the relative size of your contributions will likely play a role in how effective you can be in an informal advisory role. To formalize that role and perhaps increase your influence, consider taking a position on the organization’s advisory board or board of directors. Unlike financial investing or for-profit business ownership, philanthropic investing will not result in a personal, positive rate of return. It will, however, produce a discernible social return on investment that will be meaningful to you, but only if you take the time to define and measure it. Several years ago, a rabbi told me that he always carries coins and single dollar bills so that, if he sees a panhandler in the street, he can easily give a modest amount to him or her. The idea is, while we do not know the circumstances of such an individual, the fact that s/he is asking should be proof enough that there is a need. Shame on us if we ignore that need; shame on the beggar is s/he is scamming us. But do we ever? I have done what I refer to as “symbolic” work at a soup kitchen, substituting for the regular staff on a couple of Christmas days. I saw families and individuals in the facility, none of whom looked like the dirty and bedraggled homeless we see sleeping in doorways in New York City, but none of whom looked particularly prosperous either. Some of the clients were strapping young men who were seemingly capable of at least manual labor. I was told that most of them were down-on-their-luck working class poor, for whom the recent Great Recession was devastating. Did the folks running the soup kitchen bar their entry because they might be scamming the facility? Of course not. The fact is, particularly on Christmas Day, no one goes to a soup kitchen if they can afford something better. Although, the staff goes out of its way to treat all of its clients with dignity and respect. Eating in a soup kitchen is, at its absolute best, a humbling experience. On the weekend after Hurricane Sandy hit the New York metropolitan region, my wife and I were at our home trying to clean up the mess. Our neighborhood was badly hit, not to the point of mass destruction and obliteration of buildings, but enough that our houses were not habitable for weeks or months thereafter. On that Saturday, a group of women from the local PTA made their way through the neighborhood handing out sandwiches and drinks to the residents. I was overcome with emotion as I sat on my front doorstep eating the sandwich. How awful – here we were, recipients of a modest yet most generous handout (“hand-up”) when we were always the ones giving to charity. It was a blow to our pride and ego, but one we accepted with grace. Those PTA ladies will never know how grateful we were for this small act of kindness, nor the profound effect it had on us. I think it comes down to this – the seemingly short term “brother, can you spare a dime?” kind of charitable circumstances we find ourselves in from time to time should neither engage nor disengage the guilt factor we may feel at contributing or not contributing. Our feelings will depend on our personal constitution, and we should come to grips with that as a matter of personal philosophy. Sidewalk philanthropy may or may not do it. We may feel more comfortable when, like the PTA ladies, we respond to a more verifiable crisis. In the bigger picture, however, it is incumbent on all of us, particularly in this day and age of the fraying social safety net and tendency among politicians to demonize the poor, to take a longer term view. We need to support those causes that truly help people in need and trust that, over time and situation, such organizations develop adequate controls to do the kind of triage required to stretch their limited resources to help those who need it most. A great, big “thank you” to bloggers Richard Marker (“Wise Philanthropy”) and Gray Keller who, with differing viewpoints, have blogged about this issue and inspired this post. The Numbers are Out – Giving is Up – Hallelujah! The Giving USA Foundation, whose stated mission is “advancing the research, education, and public understanding of philanthropy,” just published the 2014 version of its study Giving USA; The Annual Report on Philanthropy. Depending on your point of view, the glass is either half empty or half full. Total charitable giving during 2013 in the United States is estimated to be up by 4.4% year over year to $335.17 billion. That’s the good news. The bad news is, although giving is up 12.9% since the Great Recession ended in 2009, it will take another year or two at current, inflation-adjusted rates to reach the pre-recession high of $349.5 billion attained in 2007. Year over year, individual giving increased 4.2%, foundation giving increased 5.7%, and gifts by bequest increased 8.7%. The soul sector showing a decrease was corporate giving, down 1.9%. Conclusions drawn: individuals are becoming more confident about giving to the causes they care about as their financial situations continue to improve. The mirror image applies to corporate giving – its decline was largely influenced by slow growth in corporate pre-tax profits. Winning sectors in the charitable world include education, public-society benefit, arts, environment/animal, and health organizations, all up on average from 6% to 8.9%. Finally, my favorite statistic and one of the more vexing ones: Giving USA notes that “over the last couple of decades, total charitable giving comprised about 2% of GDP. However, in the last decade, total charitable giving accounted for 3.5% of the overall growth in GDP.” Slice and dice the numbers anyway you want, 2% of GDP over the long term is pretty modest. Granted, according to the World Giving Index, the US was considered the most generous nation in 2013 (up from fifth place in 2012), but still……one would expect more, especially in a society that is supposedly so influenced by the major religious traditions, all of which emphasize the core value of charitable giving.